← The Hover Board is Finally Here! 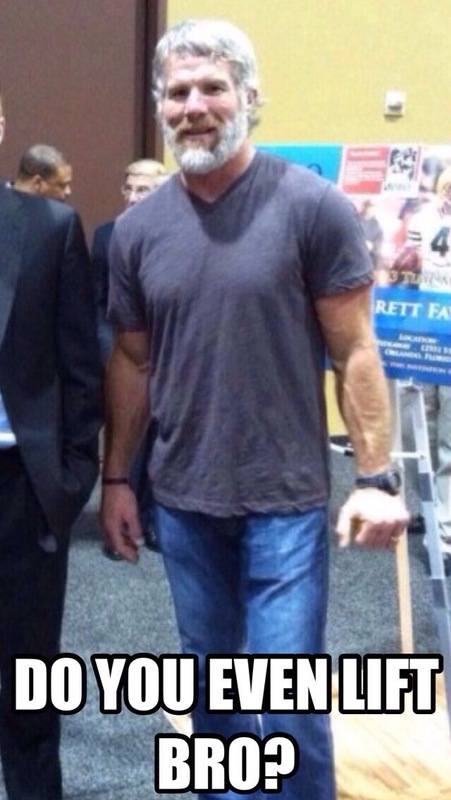 Favre has been hitting the gym! I’m pretty confident he still thinks he is going to make an NFL comeback. Just seems like one of those guys who you can’t talk out of anything. Once he has something in his head he won’t stop. Posted on March 4, 2014, in Average Blog Posts and tagged Bret favre, comeback, do you even lift?, jacked, lift, muscles, retired. Bookmark the permalink. Leave a comment.